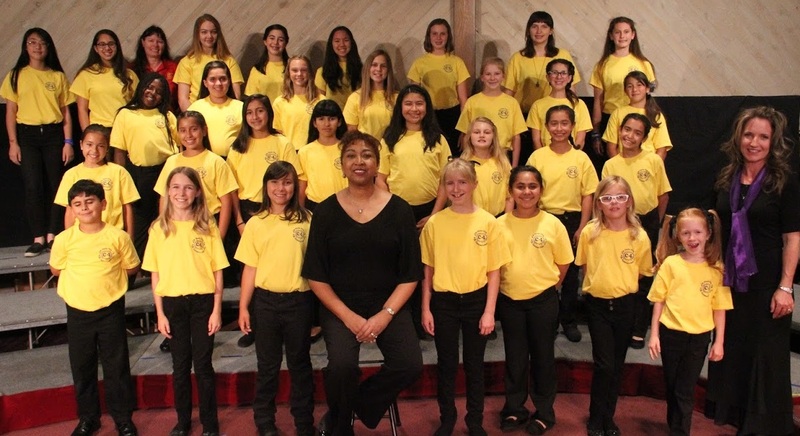 The Circle City Children’s Choir (C4) from Corona, CA is a music education program of the Circle City Chorale and was founded in 2014. Growing seasonally since its inception, it has become a vital part of the Chorale’s mission of outreach to the community. Through weekly rehearsals and various performance opportunities, children’s choir participants will gain an appreciation of music while learning basic music theory, the fundamentals of singing in a choir, proper vocal techniques, performance skills, and simple choreography. This constructive program also teaches the value of persistence, self-discipline, and personal achievement, and empowers children to strive for personal growth through its many solo opportunities. These young people display their considerable talents and proficiency at the Chorale’s seasonal concerts and at numerous community events including The City of Corona’s 4th of July parade, Day of the Child, and Empty Bowls.